Marla has a bachelor of science in business management and received her juris doctorate from the Chapman University School of Law in Orange, California with an emphasis in dispute resolution. She was on the appellate moot court and negotiations team for her university and won first place at the State of California Law School negotiation contest. Marla brings a unique perspective to her work in family law as an attorney at MacArthur, Heder & Metler. If you want to get ugly with your divorce, go find another attorney. If you want to deal with your divorce in a manner that allows you to heal and let go of the past relationship, so you can move effectively move forward with the rest of your life, come and see Marla. 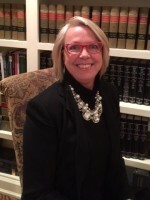 In addition to being an attorney, Marla has been a registered nurse for over 20 years. She has extensive experience in both the acute and long-term care setting. During law school, and after she began to practice law, Marla worked in an intensive care unit. Her nursing experience includes direct patient care, quality assurance management, home health, director of nursing, and a long-term care nurse consultant. She has extensive knowledge of the legal and compliance issues in the medical field, Medicare, and Medicaid reimbursement eligibility rules and regulations. Marla’s experience as an attorney, combined with her nursing practice, gives her the ability to decipher medical records and enhances her comprehensive knowledge of how the medical system works, which has proved to be invaluable in dealing with the medical profession. She enjoys running, especially 5K races, and spending time with her family.